German football expert Raphael Honigstein believes Arsenal’s pursuit of Borussia Dortmund striker Pierre-Emerick Aubameyang rests on the German club being able to take Olivier Giroud on loan for the rest of the season. Speaking during the Euro Leagues Football Show, Honigstein says 60m euros plus Giroud is a deal he can “see going through”. 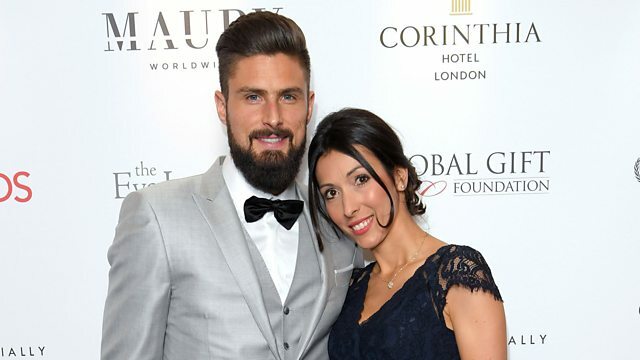 However French football expert Julien Laurens believes Olivier Giroud’s wife could be key to the deal, as he feels she may not want to swap London for Dortmund. This clip was first broadcast on 5 live Sport, Monday 22 January 2018. Euro Leagues Football Show—Why is Neymar playing a part-time PSG role?